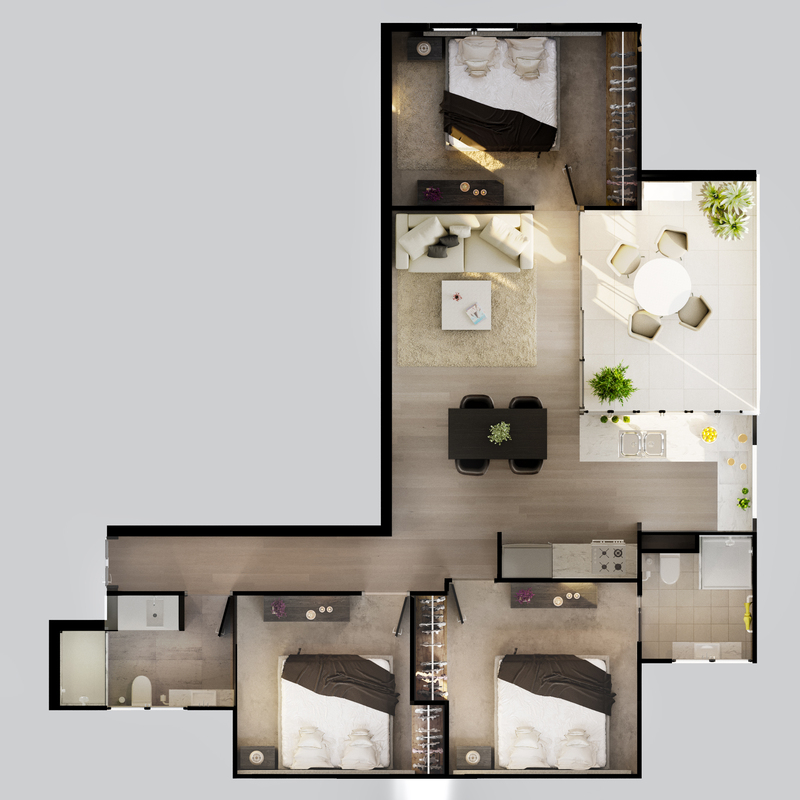 3d arcitectural plans of contemporary apartments. 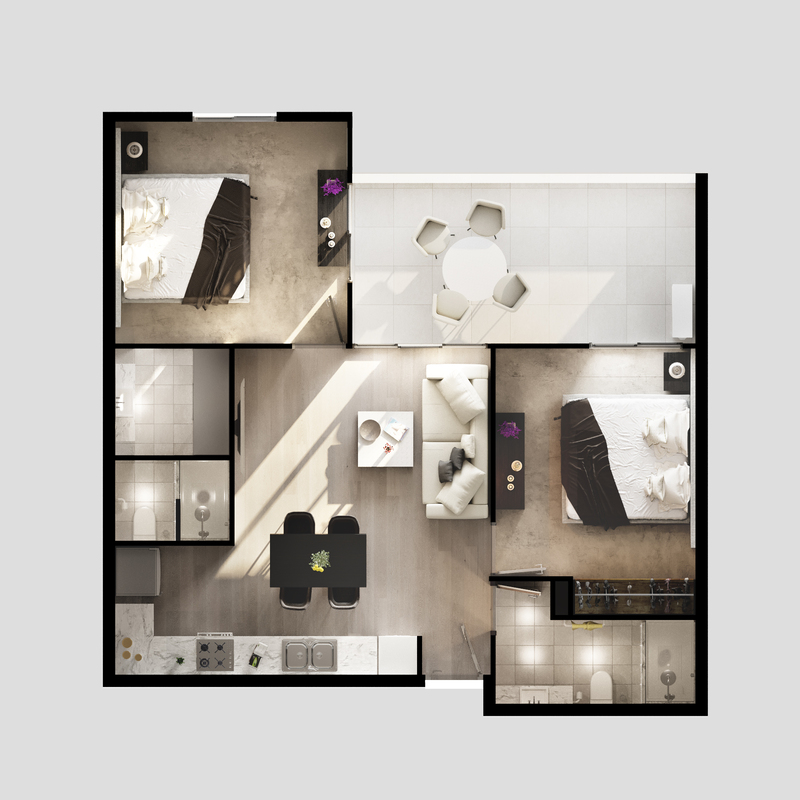 Client contacted Specto 3d with a request to make renders of 3d architectural plans. 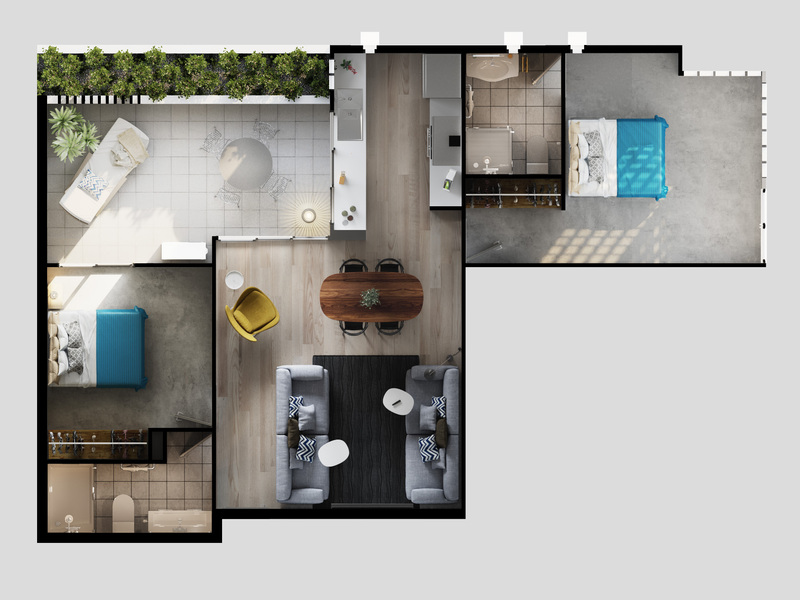 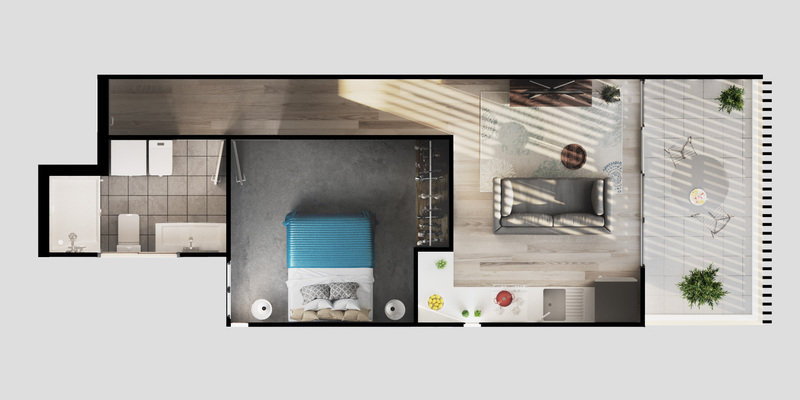 Visualisation of four types of apartments in a residential building in Sunnybank, Brisbane has been made, depicting bright interiors filled with natural light, featuring natural stones with marble combined with rich timbers & textural carpets.